Hiking in Utah Valley is one of the best ways to enjoy the outdoors and appreciate the mountains and natural beauty here. We put together a list of the best hikes to do, with trails for all people, ranging from easy "walks in the park" to challenging climbs up mountain tops. We want to hear from you though, so submit your pictures, adventures, and reviews in the buttons below each hike! 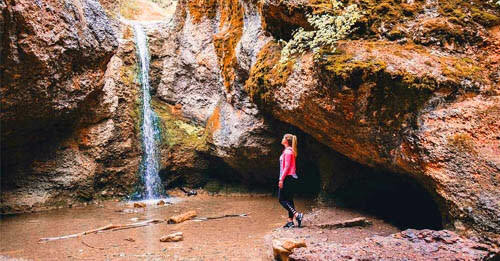 Y Mountain, just east of its namesake BYU, is the first place students look for a good hike, but it is also a great place for families to have an outdoor adventure. There are several hikes to choose from around it, and the best are listed below! Hiking the Y is basically a rite of passage for every BYU student, and some have even joked that it is a graduation requirement. 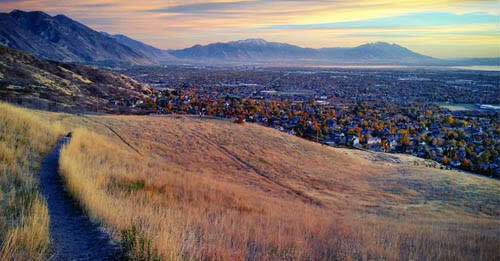 It offers beautiful views over Provo and Orem that make the steep hike worth it. Loop around all of Y Mountain by taking the trail until you finally reach the Rock Canyon Trail, and then follow that back to the Bonneville Shoreline until it loops back to the parking lot. For a shorter loop, follow Slide Canyon down to the Y, and then get on Bonneville Shoreline until the parking lot. This trail is difficult to get to because the condition of the road requires a high clearance vehicle and it is a difficult climb, but once you reach the summit it is amazing. 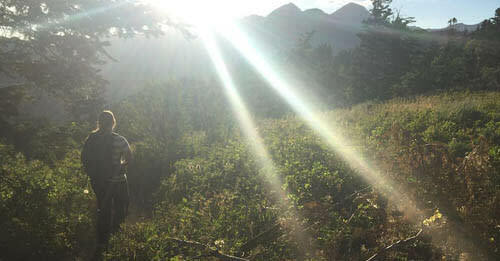 At the top you will see views of the surrounding seven peaks in the area, including Mt. Timpanogos and Mt. Nebo. 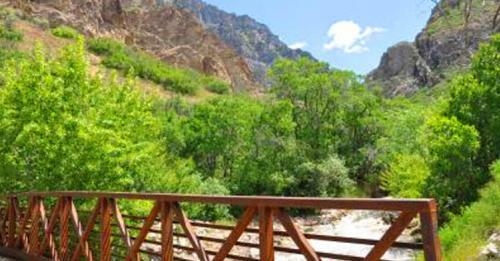 This popular hike leads you up Rock Canyon, passing unique rock formations, crossing bridges over rivers, and even walking by a few caves, until you reach Rock Canyon Campground. You can also hike to Squaw Peak from here, by turning onto Squaw Peak Trail about halfway through. 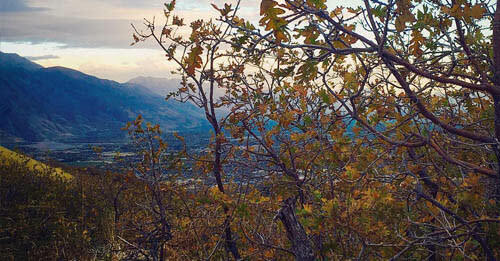 You can drive straight to Squaw Peak Overlook, but from the overlook, there are three Squaw Peak Trails. 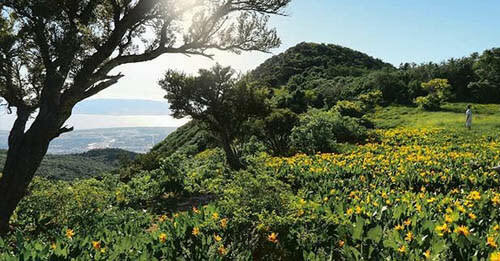 Each are beautiful and provide great views of Utah Valley. Buffalo Peak is accessible from both the front and back trails at Squaw Peak Overlook, but this particular trail starts right off of Squaw Peak Rd and goes straight to Buffalo Peak, passing fields of wildflowers along the way. This trail, with sections referred to as Luna&apos;s Trail, starts off of Squaw Peak Rd, passes through Hope Campground, and connects to the Bonneville Shoreline. It is a quiet, peaceful hike. This hike is amazing and brings you to a saddle at the end where you can camp or simply just stay for a while and enjoy the views. There is very limited water along the trail after you pass the springs, so be sure to bring enough for the trip! The Alpine Loop Scenic Byway, also known as Utah State Route 92, travels through American Fork Canyon and Provo Canyon, passing Sundance Mountain Resort and Aspen Grove. There is so much to do on this loop, including the best hikes listed below. 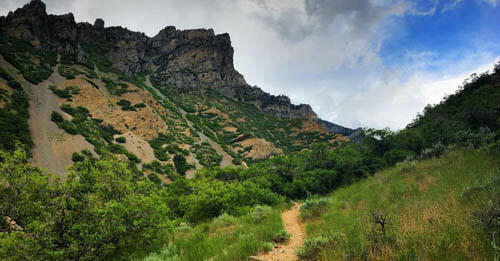 One of the most popular attractions in Utah Valley, this trail leads to Timpanogos Cave. 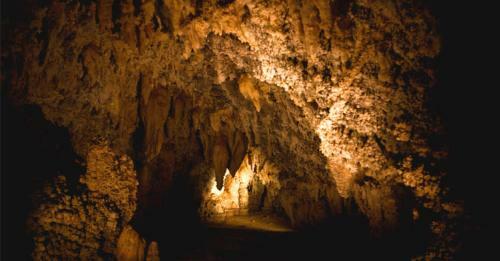 In order to enter the cave, tickets are required, but it is so worth it to see the amazing sites in the cave. 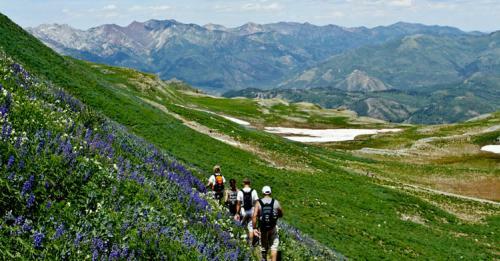 As one of the highest peaks in Utah, this is one of the most exciting hikes in Utah Valley. Some features include waterfalls, boulders, mountain goats, snow fields, Emerald Lake, a saddle that overlooks the entire valley, and a hut at the summit where you can sign your name. This highly popular short path is really more of a walk than a hike, but it is so beautiful we had to put it on here. 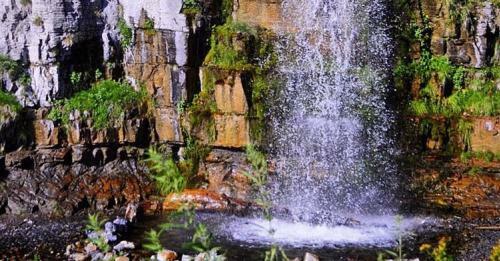 The path leads to a gorgeous waterfall that is over 600 feet tall and will take your breath away! 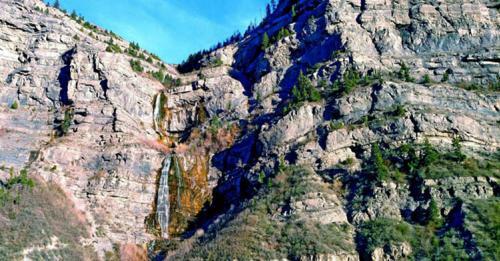 If you are looking for a more exciting trail to a waterfall than Bridal Veil Falls, take this trail! The waterfall is smaller, but the adventure of getting there makes it so fun. This trail runs along a stream part of the way, so it can be quite muddy. Once you get to Mill Canyon Trail, you can take that to loop back to Tibble Fork Reservoir or you can just head back the way you came! 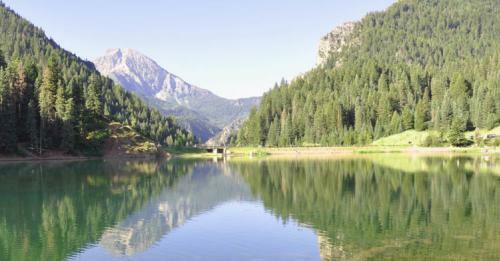 Just up the road from Tibble Fork Reservoir, is Silver Lake Flat Reservoir. This trail starts there and leads to another, smaller and more exclusive gorgeous lake, called Silver Lake, surrounded by Aspen trees. 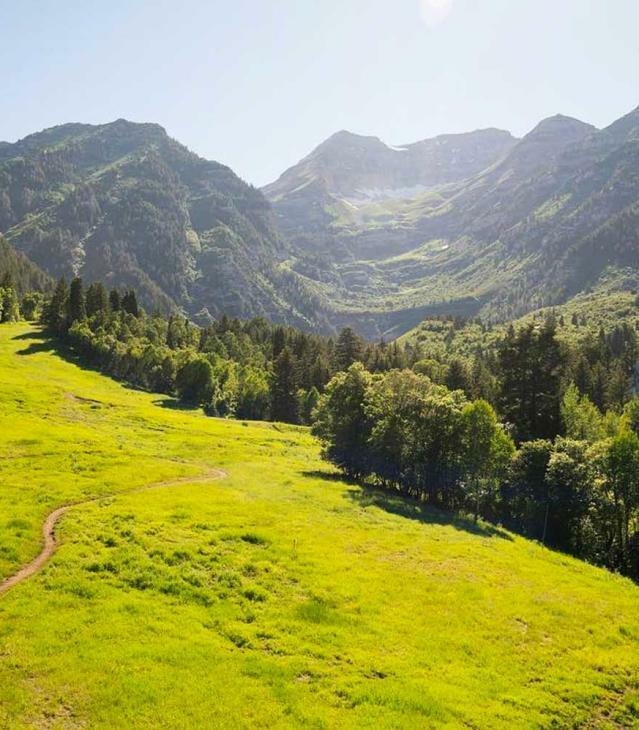 This hike is known for leading to a meadow, commonly referred to as Julie Andrews Meadow, because it looks like it came straight out of a scene from The Sound of Music, with a nice view of Mount Timpanogos. 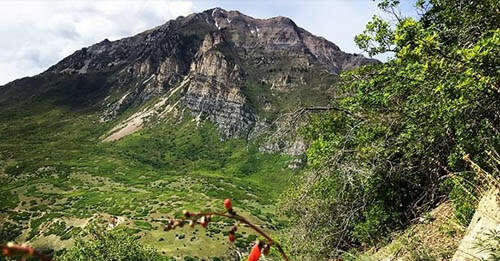 If you want to hike to Mount Timpanogos the back way (through the basin), you can take the Timpooneke Trail (15 miles roundtrip)! If you don&apos;t want to go that far, you can stop at Scout Falls and just enjoy the beautiful waterfall! This trail is nestled in the middle of the Alpine Loop, so it offers fantastic views of both the backside of Mt. 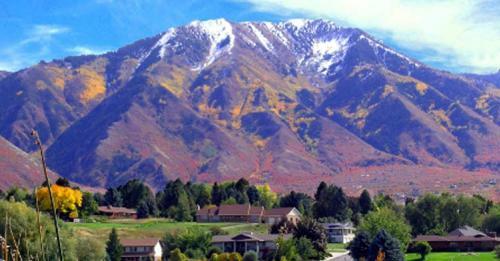 Timpanogos and Heber City! It is such a beautiful hike, year-round. 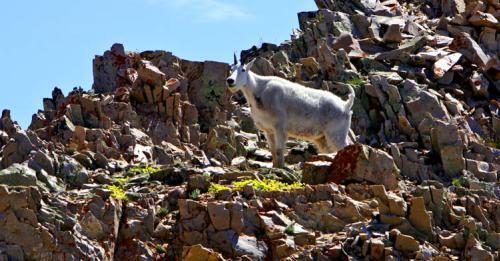 There are several hikes that start in the same place, right in the middle of the Alpine Loop, and this is one of them. At the end, you will find the Salamander Flat Campground, making it easy to connect with other trails. This is a beautiful trail, for bikers and hikers alike, where you can be surrounded be natural beauty and likely even see some wildlife. This trail also connects with Pine Hollow Trail. 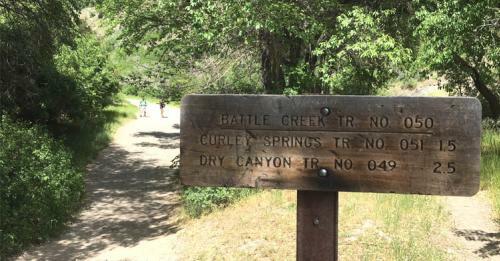 This trail connects to many other trails in some way or another, so it is considered the backbone of the American Fork Canyon trail system. Though it is long, it makes for great mountain biking and offers great views the whole way! Along the Salamander Flat Trail, this trail branches off and leads through fields of wildflowers. It is a nice place to go trail-running and quietly enjoy nature. There are a few trails that branch off from this trail, but if you keep left (except for the last turn) you will reach Primrose Overlook, a beautiful cirque with great views of Mount Timpanogos. You can either come back the way you came or turn onto Horse Spring Trail/Lame Horse Trail to loop back to the trailhead. 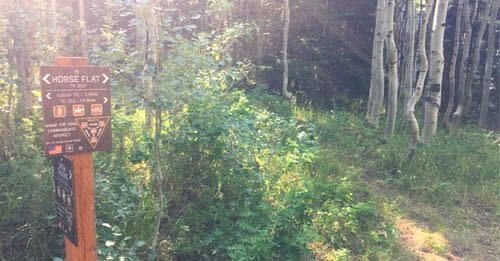 This trail leads to Aspen Grove, where you can access the popular Mount Timpanogos trail. As noted above, it also connects to Lame Horse Trail, which will give you wonderful views from Primrose Overlook. 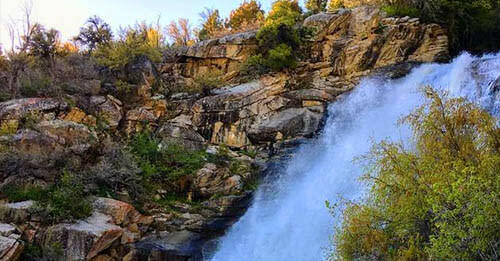 The Nebo Loop National Scenic Byway starts in Payson from the North and takes explorers on a beautiful road through the Uintah National Forest. 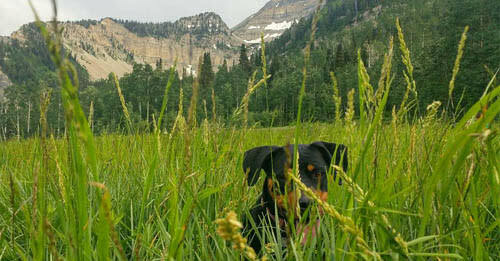 Here are a few notable Utah Valley spots along the way. 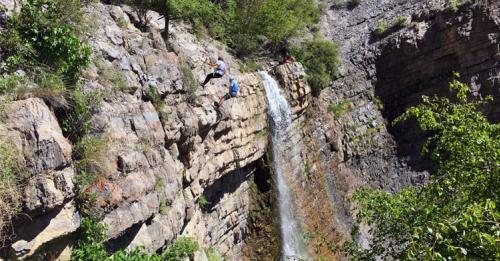 This is a fun family-friendly hike that leads to a waterfall nearly surrounded by rock. The trail runs along Peteetneet Creek, which it crosses several times, and is perfect for a hot summer day. This strenuous hike on Loafer Mountain, one of the highest mountains along the Nebo Loop, leads to Santaquin Peak, with incredible views of Utah Valley and surrounding mountains at the end. This trail also connects with Bennie Creek Trail, which connects back to the Grotto Falls parking lot. 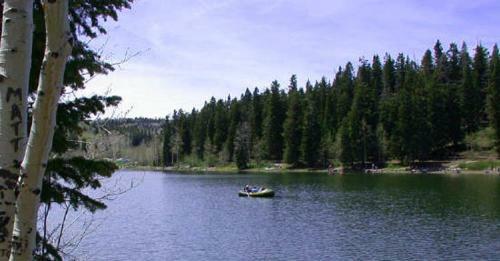 Big East Reservoir is the largest of the three Payson Lakes and this trail loops around it. 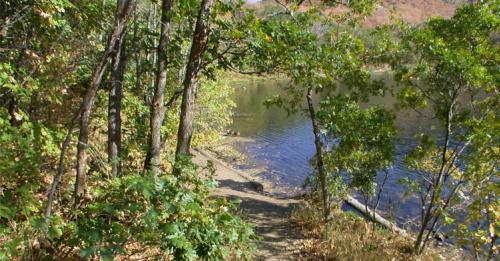 It is a great family-friendly trail with views of the lake. 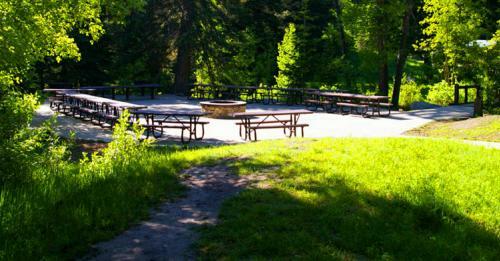 Cool off in the lake afterwards or have a picnic at the campground! This trail takes visitors through open meadows, up and down rolling hills. 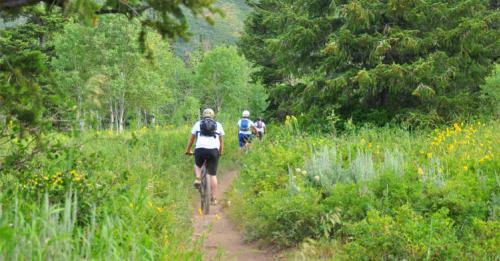 It is popular for mountain biking, but the lack of shade during the summer months, makes for a quiet, peaceful hike. 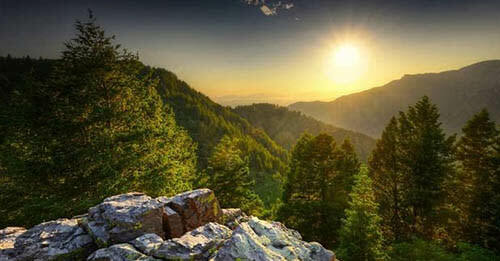 This trail offers amazing views of the Mount Nebo wilderness. There are several springs along the trail, lots of wildlife, and meadows of wildflowers. Once you get further along, the trail is harder to find, so follow the rock cairns. It also intersects with the Mount Nebo Trail, which will lead to the peak. When people think of hiking, they typically don&apos;t imagine a setting within a city. These trails, however, make you feel just as part of nature as if you were in the mountains--except for the usual paved trails of course! 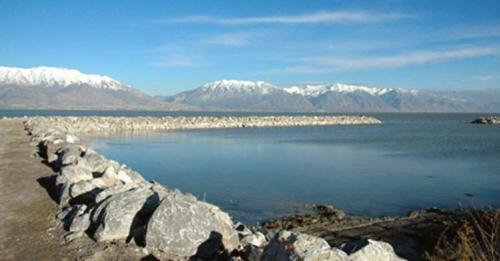 This parkway spans from Utah Lake to Vivian Park in Provo Canyon and runs along the Provo River. It is a heavily-trafficked trail, popular for biking, walking, and running. Some notable sights along the way are Utah Lake, Bridal Veil Falls, Upper Falls, and Vivian Park, along with many other parks. 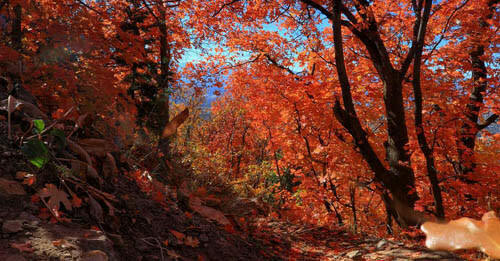 This well-known trail runs along the Bonneville Shoreline, from Ogden down to Payson. Most people do not follow the entire length of the trail, but it is a nice place to go running or enjoy views to surrounding cities. This trail also connects to many other trails throughout the valley. This canal trail spans from Highland to Provo, eventually connecting with the Provo River Parkway. It is a popular place to go biking, running, enjoy a nature walk, and just spend time with your family outside. This trail is a fun one for families, especially on a warm spring or summer day. The trail leads to a waterfall where you can play in the water, bring dogs, and even repel down the waterfall if you are brave enough. 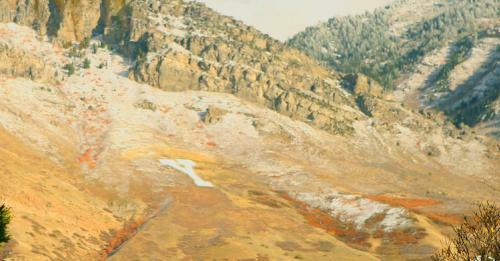 Utah seems to really love putting letters and other landmarks on their mountains, and Pleasant Grove is no exception. This trail leads right up to the big, white "G" overlooking the city. This trail starts with the Battle Creek Falls Trail, which you follow past the falls until you reach the Great Western Trail. Take a right and then take the next right after that and keep going until you reach the summit, Big Baldy. You can also loop around using the Dry Canyon Trail. 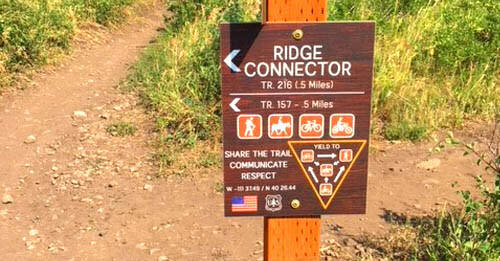 This trail is another way to reach Big Baldy or Battle Creek Overlook, by joining an intersecting trail. It is very steep and, though it begins in city limits, it takes you through canyons where wildlife abounds, so be cautious. There are a lot of options for exploring this trail. One of the many trails it connects to is the Battle Creek Overlook, where you will find wonderful views of the city and Utah Lake. 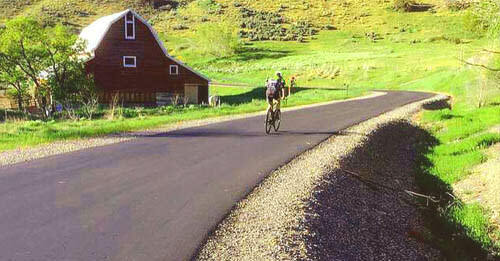 There are a lot of things to do along this trail inside the city of Spanish Fork. Some family-friendly activities include deer watching, biking, running, birding, and seeing Dripping Rock (a pretty waterfall-like flow of water over a rock). 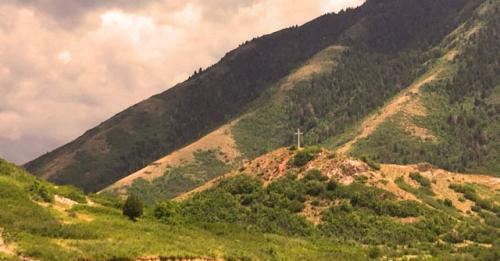 Unlike many other cities in Utah, Spanish Fork does not have giant letters on their mountains. Instead, they have a large white cross. 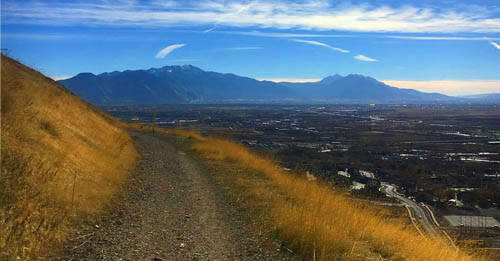 This trail will lead you to it and provide nice views of Spanish Fork. Our last mountain-letter hike leads to the Payson P. Just like all the others, it offers great views of the city it overlooks (in this case, Payson) and is a fun trail to do with young kids. There are so many beautiful areas in Utah Valley. Here are a few extra spots that are nearby and worth every footstep! 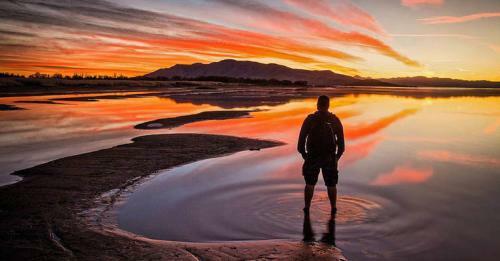 This is a relaxing walk that takes visitors along the northeastern shoreline of Utah Lake that borders the city Vineyard. There are many places to picnic, stop and swim, and see wildlife, such as deer. Be sure to catch the sunset, too! 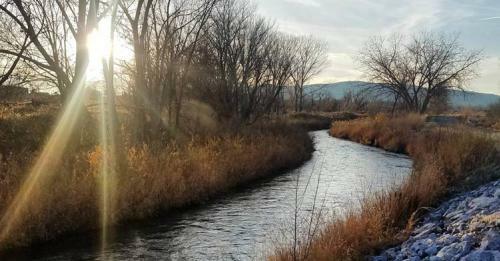 Another segment of the Utah Lake Shoreline Trail is this trail, which follows the northern Utah Lake shoreline, along Saratoga Springs and Lehi. There are plans to extend this trail to border the entire lake. 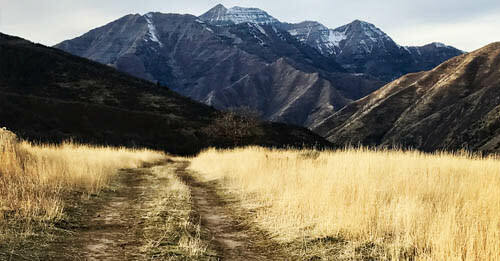 This trail, east of Spanish Fork, is popular because it leads to natural hot springs where hikers can sit and relax. 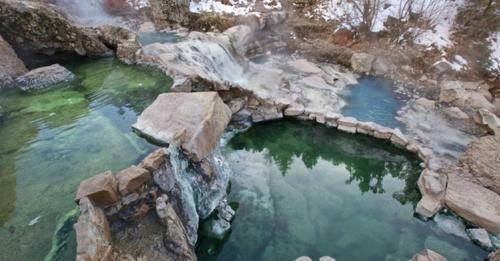 If you want to continue past the hot springs, you can connect to Center Trail, which meanders all throughout the area. This trail, far east of Springville, is great for hiking, mountain biking, and horseback riding. 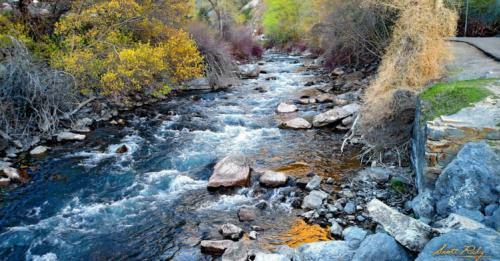 It runs along Wadsworth Creek and crosses the creek many times, so be sure to wear shoes you don&apos;t mind getting wet in. Also, have fun fishing in the creek and spotting beaver dams. 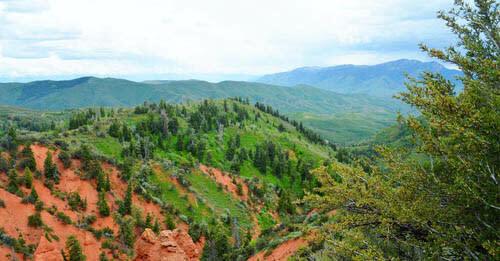 This trail, also east of Springville, is a fun day hike with a variety of plant scenery. It goes along a stream partially and features a spring that pours out the side of the mountain. 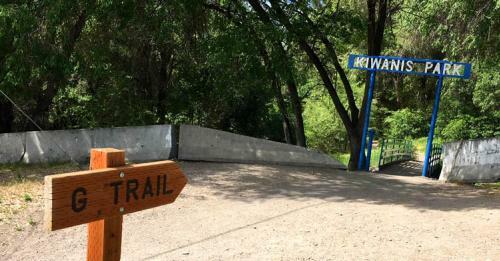 The end of the trails connects with Kirkman Hollow Trail. 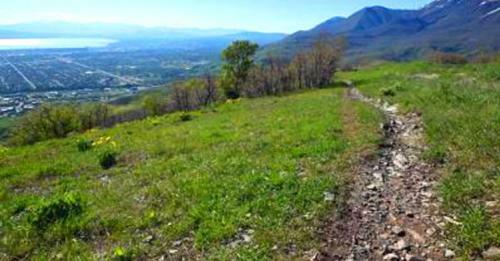 Within the Diamond/Hobble Creek area, there are many hikes and these are three different trails that all converge at various places in the middle. Each path has gentle slopes that aren&apos;t too difficult to climb. This trail, east of Mapleton, starts in a campground, runs along a stream for a while and eventually turns into Little Diamond Trail, which is an old mining road. It is a peaceful hike, great for adventurous families. 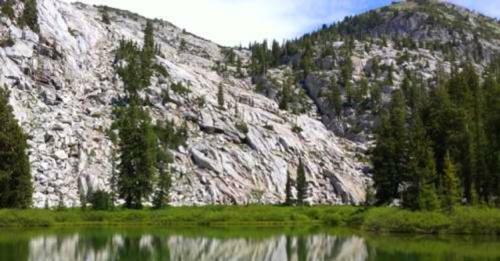 Nestled within the Lone Peak Wilderness, just east of Lone Peak and north of Alpine, is Lake Hardy. The trail to get to the lake is rough and can in some places be very tricky to follow, so make sure you are prepared for a long, strenuous, exciting adventure. 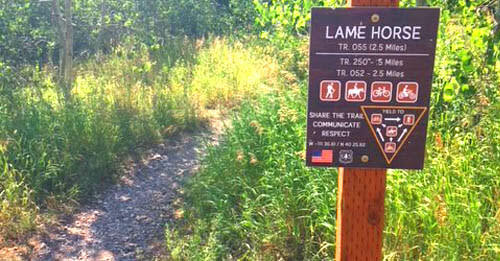 This trail is located in the same wilderness area as the trail to Lake Hardy, east of Alpine city limits. It leads to a beautiful waterfall, and though it is more difficult than other waterfall trails, it is still worth venturing to. 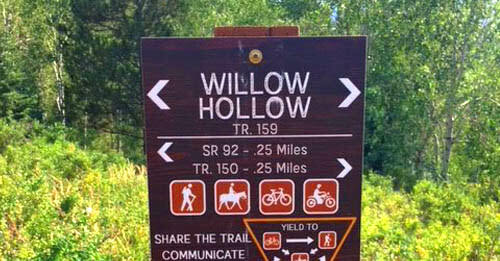 This trail is just barely in Utah Valley, but it is an enjoyable trail, especially for mountain bikers. Not only is the trail itself scenic, but the drive to get there is as well. This would be a fun date spot! Utah Valley can&apos;t take all the credit for this trail, which spans from Mexico to Canada, but we have a good chunk of this historic trail. This is a rugged, remote trail and thru-hiking is only recommended for the bravest of the brave. 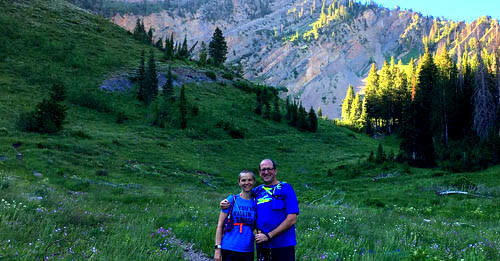 We want to hear about your hiking adventures, so be sure to leave a review and/or a picture! Also, be sure to use the hashtag #exploreutahvalley when posting your adventures on Instagram and Facebook! 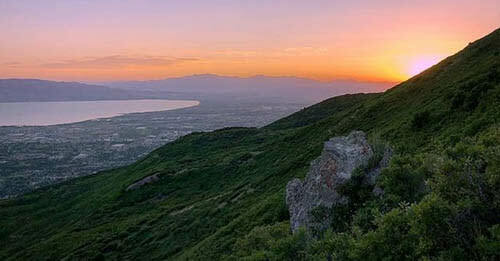 For a map of hikes in Utah County, go here. Are there any hikes we missed? Let us know in the comments!